MANCHESTER, New Hampshire – In the 1970s, a comedy group called The Firesign Theater launched a fictional candidate for president named George Papoon with a catchy pledge: Papoon for president. You know he’s not insane. The joke, of course, was that Papoon was off-the-wall bonkers. But his “not Insane” slogan could perfectly fit a class of Republican candidates exasperated by Donald Trump’s rise and jostling to become the last best alternative. The fight is overwhelmingly centered on New Hampshire, a state whose independent streak has made Trump a strong front-runner, and whose centrist streak has made it the obvious launching pad for the mainstream GOP contenders who tend not to do as well among Iowa’s staunchly conservative caucus-goers. New Hampshire’s primary is scheduled for Feb. 9, eight days after Iowa. Their plans all contrast with Texas Sen. Ted Cruz, who is riding Trump’s wake with obsequious praise for the real estate titan and focusing primarily on Iowa to jumpstart his run. 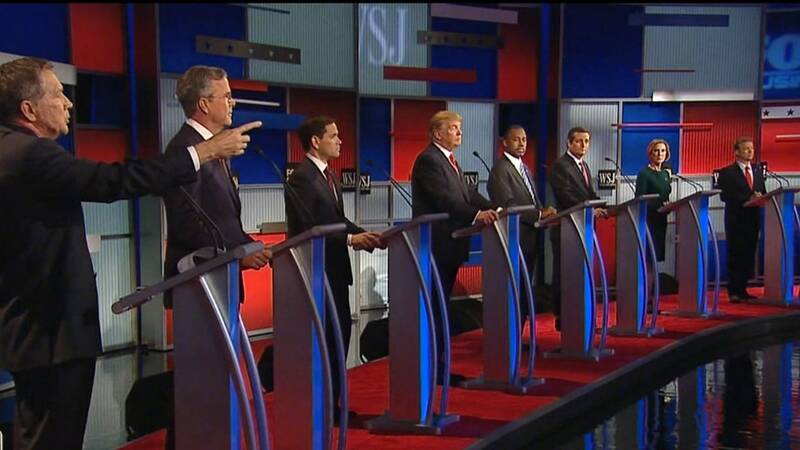 “Jeb, Christie, Kasich, Rubio. Whoever wins New Hampshire – or, if Trump wins, whoever comes in second – is probably going to be best positioned going forward,” Fred Malek, an unaligned Republican fundraiser, told MSNBC. In theory, a contender from the not insane camp who knocks out the others in New Hampshire will have a strong chance at the nomination by uniting whatever’s left of the GOP establishment against candidates like Trump, Cruz or Dr. Ben Carson, all of whom party elites view as unelectable, too kooky to govern, or both. But right now the not insane candidates are splitting the vote, raising the prospect that none of them achieve the liftoff needed to stop Trump and Cruz from taking over the race. Some Republicans are also concerned that the new environment of unlimited Super PAC donations could keep more candidates in the race waiting for a lucky break in later states. It’s a fun-house mirror image of the 2012 New Hampshire primary, where establishment favorite Mitt Romney locked down support early and the opposition never settled around one challenger. The latest surveys from the state show the field tightly clustered with none drawing even half of Trump’s support – a RealClearPolitics average puts Trump at 28.7%, Rubio at 12%, Christie at 10.3%, Cruz at 9.7%, Kasich at 7.3%, and Bush at 7.0%. With the Paris and San Bernardino attacks fresh in voters’ minds and Trump staying strong, the not insane crowd is running on versions of the same argument: Do you really want that guy with their finger on the nuclear button? Right to Rise, the behemoth super PAC supporting Bush, debuted a multi-million dollar ad buy this month attacking Trump as “impulsive and reckless” on national security while also taking shots at Rubio for missing Senate votes and Cruz for voting to reform NSA surveillance. A recent Politico report suggested that Right to Rise strategists were considering a $75 million scorched earth campaign aimed at disqualifying everyone but Trump in order to leave Bush as the only viable backup. 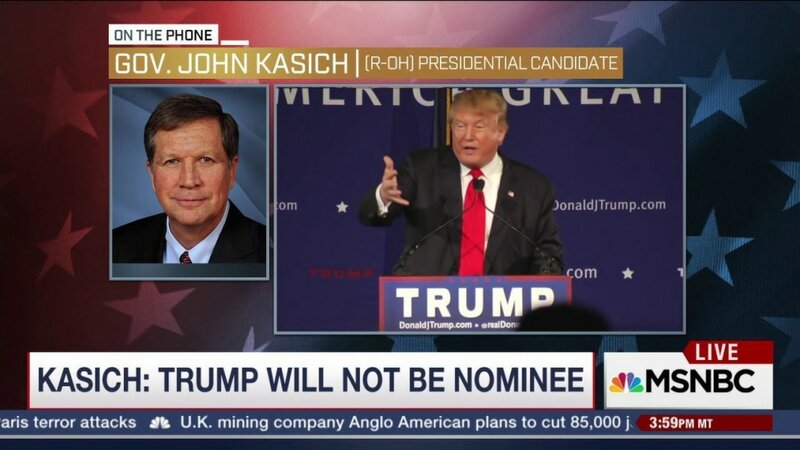 New Day for America, the super PAC supporting Kasich, has almost single-mindedly devoted itself to Trump-bashing. “We have to paint that picture of what Donald Trump would look like as commander-in-chief, which is scary and ineffective,” New Day strategist Matt David told NBC News earlier this month. For Christie, whose relentless campaigning in New Hampshire has paid off with a return to polling relevance, the not insane argument was on full display at a town hall in Wolfeboro on Friday – even as he insisted he had no plans to attack Trump or anyone else. He confessed to the crowd that even he was “entertained” by the early race and its “colorful characters.” But that time had passed. Here’s the thing about running on not insane: It’s not fun. Even as those candidates sharpen their arguments against rivals they say are dangerously unqualified to be president and their supporters spend millions to attack them as such, the frustration with Trump’s continued success is palpable. You can feel it on the trail with Bush. He began one campaign day at an AARP panel on entitlement reform, where he expounded on his plan to partially privatize Medicare and gradually raise the Social Security retirement age while increasing the minimum benefit for poorer seniors. “It’s a real joy to be here and it’s particularly a joy because we’re going to talk about policy,” Bush said at the beginning. Normally it would be a throwaway line, but the audience burst into applause. They knew what Bush knew: This event was unlikely to make news. Not after Trump had proposed a total ban on Muslim entry into the United States the day before. The next day, Bush was asked a softball question at a young professionals event about which historical figures – living or dead – he’d bring to a White House party. 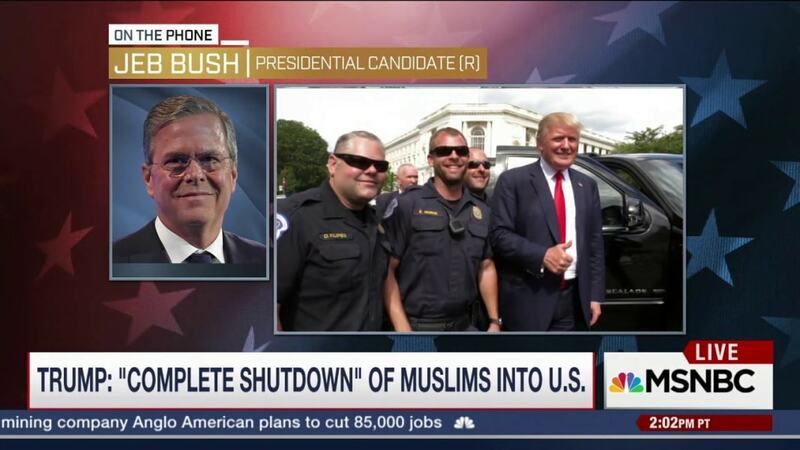 “I wouldn’t invite Donald Trump,” Bush replied. No need for the invite, Trump was already throwing a wild bash in Bush’s head. By Thursday, Bush’s frustrations had boiled over into a primal scream to Business Insider, in which he complained Trump’s ideas were so inflammatory that even his campaign threatened national security – and that the media covered them too much. It’s not just Bush. On Thursday, Kasich smiled his way through the same young professionals series, where he recounted his favorite bands (Linkin Park, Foo Fighters, and “OK Computer”-era Radiohead all came up). It was all laughs – until MSNBC asked him about Trump. “You know, I made a big speech yesterday on foreign policy, how to deal with ISIS, what to do about encryption, how to protect our country and the questions are about somebody else,” Kasich complained. Even Christie, currently at the high point of his campaign and scoring major endorsements in the state, can’t help but get annoyed. 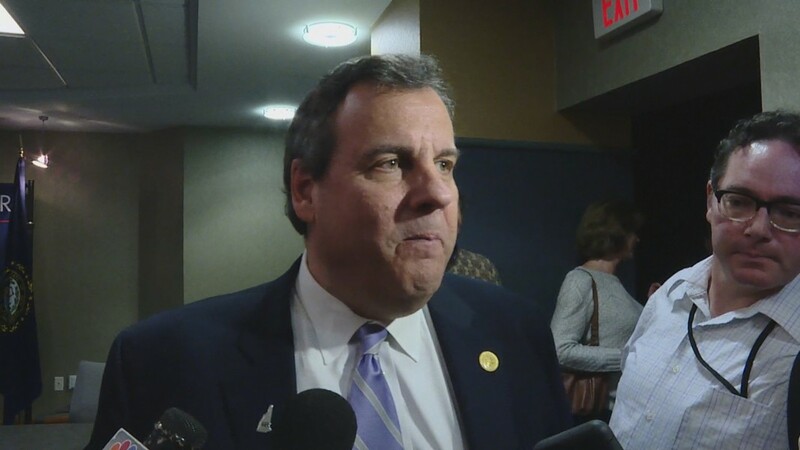 “I have been trying … for months to get questions from the press, to get questions about anything other than Donald Trump,” Christie told reporters on a swing through the state Saturday. It’s easy to see why they’re upset. Over the course of three events in one day, Bush spoke confidently about dozens of policy matters: immigration (a topic he wrote a book on), the Iranian nuclear deal, drug policy, regulations, tax reform, government surveillance, veterans’ health care, and more. He lingered long after a town hall in Hooksett to try and convince a skeptical schoolteacher that the merit pay policy he implemented in Florida would have benefited her, laying out how minute rules and exceptions addressed her concerns. Both Christie and Kasich have been taking a similar approach: small, substantive, and intimate meetings with average voters. Ask New Hampshire politicos how to win the state and they’ll say Bush, Kasich, and Christie are doing things the right way. So far, it hasn’t worked, and the main problem is a candidate whose events are political rock concerts that draw thousands. While the not insane cohort is busy courting endorsements from state legislators and business leaders, Trump’s supporters are petitioning to remove the New Hampshire GOP chairwoman for criticizing his proposed Muslim ban. On Friday, the Trump show rolled into town for a smaller event. The New England Police Benevolent Association announced it was backing Trump, who accepted the support at his event and pledged to issue an executive order instituting the death for anyone who kills a police officer. Like his rivals, he also had some words on national security. The candidates may loathe positioning themselves in relation to “blowhards” as Bush described it, or “reality TV stars,” as Christie put it, but the Republicans they’re courting understand the message and the stakes. It’s common to hear New Hampshire Republicans at events featuring the not insane candidates say they’re choosing between some combination of Bush, Christie, Rubio, Kasich, and Fiorina. “Make sure I win New Hampshire and I’ll be the Republican nominee,” Kasich replied.Chris Williams, CEO of the Greater Nashua Chamber of Commerce and a co-host of the Life of the Party series, told MSNBC that he had narrowed his choice down to Fiorina, Rubio, and Kasich, with an eye toward which of the three can most effectively rescue the party from less qualified candidates. Adam LaCasse, a 39-year old legal administrator, told MSNBC he was undecided but is concerned the mainstream candidates will split the vote. Republicans unnerved by Trump’s ongoing dominance, have comforted themselves with mantras that have carried them through past flirtations between the base and various unconventional candidates: Voters make up their mind late. Insurgent candidates fade before the end. The field will shrink once the first ballots are cast. “He’s not going to be the nominee,” Bush told a reporter when asked if he would support Trump if the frontrunner won the primaries. “But if by some chance –“ the reporter continued before being interrupted. “He’s not going to be the nominee,” Bush said. Whatever you have to tell yourself to stay sane.